Gwen Carr: "Four Years Ago The NYPD Killed My Son. I’m Still Waiting For Justice." 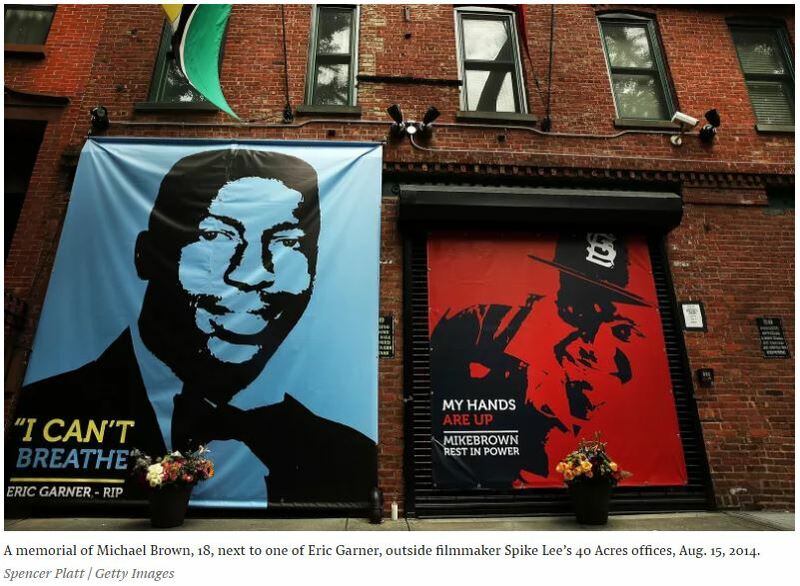 Four years ago the NYPD killed my son, Eric Garner. We demand justice. Right before they came for him, Eric had broken up a fight. But the NYPD lied about that from the very beginning, telling the press he was being arrested for selling loose cigarettes — all to somehow justify their violence that led to his death. Over the past four years, Mayor Bill de Blasio could have acted at any time to hold the NYPD accountable for my son’s killing and fired the officers responsible for killing him and failing to provide aid or intervene. Every step of the way, he has chosen not to. According to news accounts and video footage, there were at least five other officers on the scene who either used force on my son or did nothing to intervene while Eric pleaded for his life by saying “I can’t breathe” 11 times. Some officers were reported to have filed false reports that made no mention of the chokehold and said Eric’s condition “did not seem serious” before he died. Let me be clear: Daniel Pantaleo, the officer who killed Eric with a chokehold that has been banned by the NYPD for over 20 years, should be fired. Sgt. Kizzy Adonis should be fired for failure to supervise. They are the only two officers who currently have pending department charges, but they are not the only officers who should lose their jobs — and they should not be the only officers with disciplinary charges. Officers Justin Damico, Mark Ramos, and Craig Furlani were all reportedly involved in killing my son by either failing to intervene or compressing his chest while handcuffing him. Also, Sgt. Dhanan Saminath failed to supervise, and then claimed in an official police report that Eric “did not appear to be in great distress,” a claim that anyone who has seen the shocking video of the killing is free to judge for themselves. Those are just the names we know, since de Blasio has allowed the NYPD to withhold the names of others involved in my son’s homicide, who may have failed to intervene, or who tried to cover it up. It’s time for de Blasio to stop enabling a blatant NYPD cover-up that allows these officers to get away with murder. I recently confronted him in person about the lack of real accountability at the NYPD for my son’s death. He told me he respects me, but his actions tell a different story. Today, I’m calling on de Blasio and the NYPD to release the names of all the officers involved in my son’s killing and fire them. Our mayor is once again trying to position himself as a national progressive leader. Civil rights leaders and social justice leaders concerned about police violence and police killings should not buy his act. The truth is, he has never lived up to his promises of reforming the NYPD. He has often cited the need to wait for the Department of Justice before taking action against Pantaleo and other officers involved in my son’s homicide. It’s a vicious lie that will taint his mayoral record and his political legacy. Consider this: Before the Department of Justice brought charges and convicted the officer who killed Anthony Baez in 1994 — with the same banned chokehold used to kill my son Eric — the NYPD fired the officer. The department’s trial was helpful in the federal case because it pointed out contradictions and it removed any appearance that the officer acted in accordance with NYPD protocols. A similar course of disciplinary action should have been used years ago against Pantaleo and the other officers involved in my son’s death. Instead, with overtime and bonuses, Pantaleo’s pay jumped to six figures in the two years following my son’s death, allowing him to pad his pension — even though he’s assigned to desk duty. There’s no excuse for the inaction against these officers. De Blasio and the NYPD are protecting officers whose conduct has been indefensible. Until Pantaleo and all other officers who, inadvertently or not, were responsible for the death of my son face disciplinary charges and are fired, de Blasio deserves zero applause. Justice delayed will always be justice denied. He must take swift action to ensure that all of the officers involved in taking my son’s life are charged by the NYPD and fired. That needs to happen now — not in some distant future. I’m tired of waiting. After four years of intense pain and suffering, my family deserves better — and so does all of New York City and people across the nation who protested and demanded justice for my son.